Stay at the Country Inn & Suites near the San Jose airport to enjoy a complimentary, hot breakfast at Mambi Restaurant each morning. 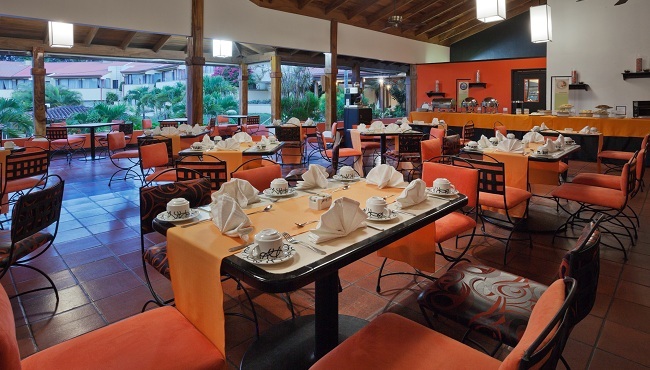 Located on site, Mambi also serves Costa Rican and international dishes for lunch and dinner. If you prefer private dining, our hotel offers room service from 6:00 a.m. to 10:00 p.m., and guests staying on the Executive Floor can relax with breakfast in the exclusive lounge. 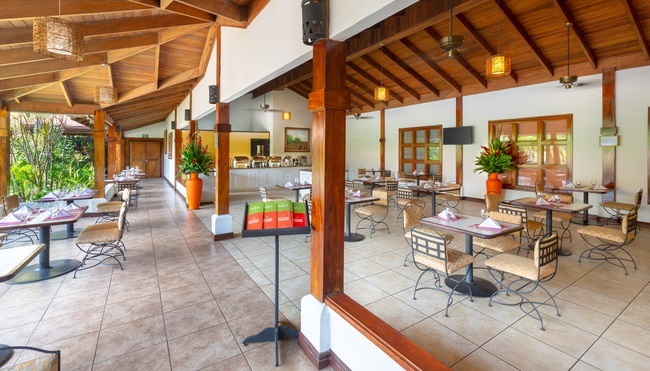 Offering views of the hotel’s pools and gardens, Mambi Restaurant serves Costa Rican specialties and a variety of international options. Treat yourself to fresh dishes prepared with high-quality, locally sourced ingredients. The restaurant is open daily from 6:00 a.m. to 10:00 p.m. In the mood for a cocktail after an exciting day? Stop by the new Bar La Terraza, located next to Mambi Restaurant. Happy Hour specials run from 5:00 p.m. to 6:00 p.m., including two-for-one local beers. Plus, there is live music every Friday. 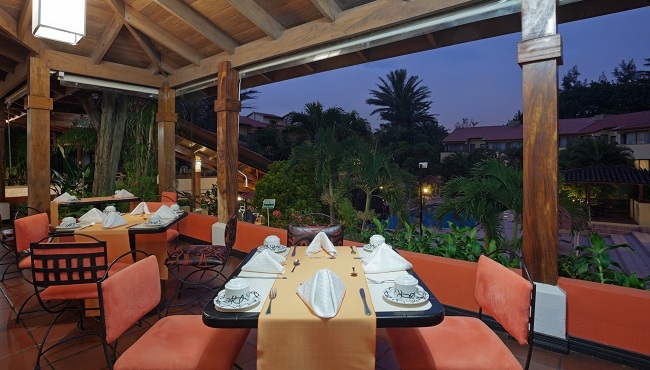 Bar La Terraza is open daily from 4:30 p.m. to 11:00 p.m. If you’re craving a private meal in the comfort of your room or suite, order our convenient room service, available daily from 6:00 a.m. to 10:00 p.m.